Ascension Lutheran is a family of Christians in Batavia, Illinois intent on sharing the good news that God gave His only Son that whoever believes in Him has eternal life. Jesus our Savior was crucified because of our sins and raised to declare our forgiveness. God gives us this forgiveness and new life through His Word, Baptism, and the Lord’s Supper. It is our mission to share the good news of salvation by faith in Jesus Christ with all people. Our church is a member of the Church of the Lutheran Confession (CLC). All of the CLC member churches confess that the Bible is the Word of God and it contains no errors. We confess the creeds of the Lutheran Church, as they are found in the Book of Concord of 1580. Scripture itself is the source and foundation of Christian teaching and faith and the Lutheran confessions are a faithful setting forth of what Scripture teaches. “The salvation won for us through the suffering, death, and resurrection of Jesus Christ is the driving force behind our efforts as a confessional Lutheran church.” Visit the CLC website. At Ascension Lutheran Church, we strive to offer a warm and welcoming atmosphere for visitors to come and learn more about God’s Word. 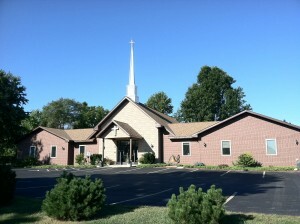 Pastor Pfeiffer would be happy to meet you and share more information about our church. Contact us. More about our pastor here.